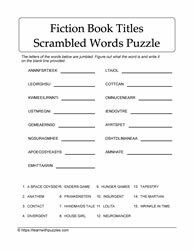 Here are puzzles about fiction books. 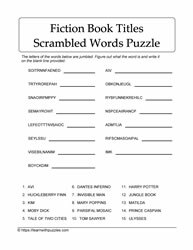 Wordsearch printables, crossword puzzles, cryptolists, codeword puzzles are all currently under development. 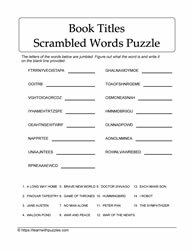 Try current scrambled words puzzles are here to challenge students' problem solving skills. Suitable for students in middle grades 6,7,8 classrooms and homeschooling environment. Check back often for new additions.